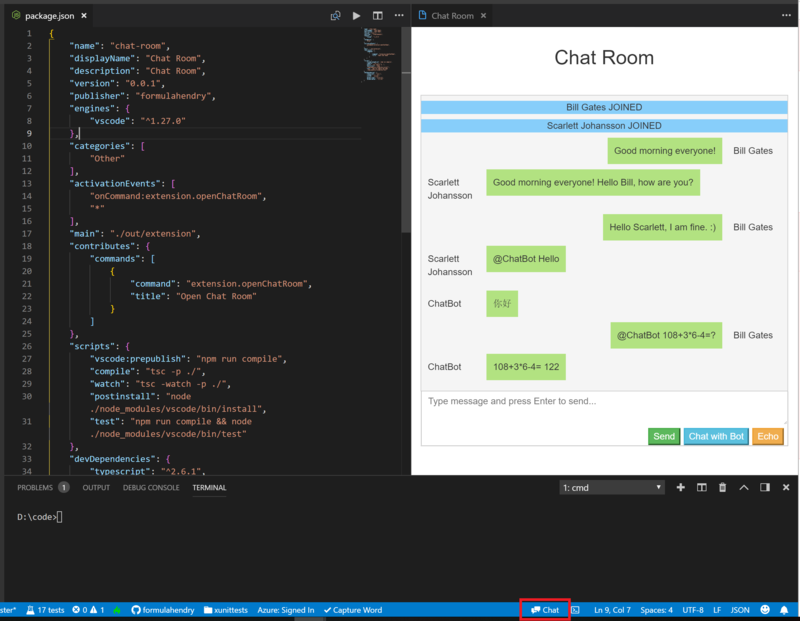 Visual Studio Code>Other>Chat Room & Chat BotNew to Visual Studio Code? Get it now. Chat with people from all over the world, also chat with the smart Chat Bot. If you are using Cloud Studio, you could also use the corresponding Chat Room plugin.